CINEMA is a workforce development initiative that will train and provide new opportunities to 18-24-year-olds who are disconnected from work and/or education to obtain entry-level jobs in Information Communications Technology (ICT) fields (e,g, digital media production, film/TV production).The CINEMA Project is led by the Crim Center in affiliation with Georgia State’s Creative Media Industries Institute (CMII) and the Center for Excellence in Teaching and Learning (CETL), along with the Atlanta Film Society (AFS). The project is sponsored by a grant from JP Morgan and Co.
JP Morgan Chase & Co., the Alonzo A. Crim Center for Urban Educational Excellence and our program partners launch this exciting new workforce development program for opportunity youth. Learn about the program, meet the Advisory Council and some current program participants and learn how get involved and support this program. 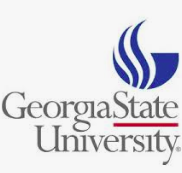 Careers In New & Emerging Media Areas (CINEMA) Program Launch on Feb 7th, 2019 starting at 6pm at Georgia State University.